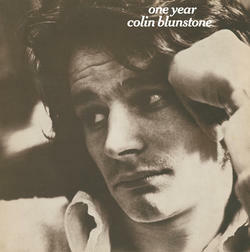 "One Year" the debut solo album from Colin Blunstone, lead singer of legendary psych/pop group The Zombies, was originally released in 1971. Produced by fellow Zombies Rod Argent and Chris White, "One Year" is classic Baroque pop with lush string arrangements and Argent's unique keyboard sound. Features the hit "Say You Don't Mind," a number of Blunstone originals and a beautiful cover of Tim Hardin's "Misty Roses."